On April 28, 1944, a German E-boat sank two U.S. ships participating in training exercises for the Normandy invasion — a largely unknown incident that claimed the lives of 749 American soldiers and sailors. A robotic sub recently captured the most detailed images yet taken of the wrecks. It was called Exercise Tiger, a training exercise involving some 30,000 American troops consisting of infantry, artillery, engineers, medical personnel, tank battalions and support staff. The drills took place on the South Devon coast at Slapton Sands, an area chosen for its resemblance to Utah Beach. 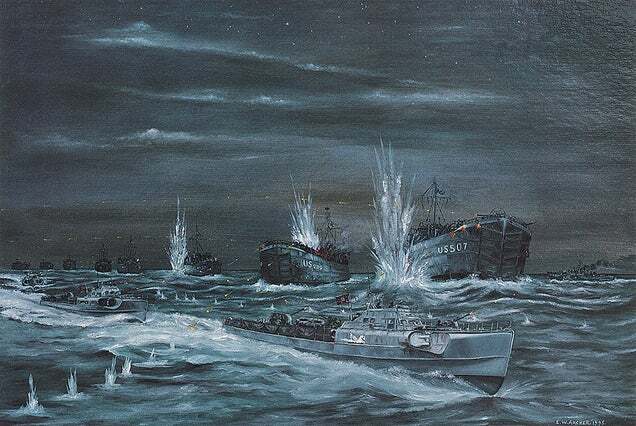 In the early hours of April 28, eight tank landing ships (LSTs) were making their way in when they came under attack by a flotilla of nine German E-boats. By the time it was over, two ships had been sunk (LST531 and LST507), while two other ships damaged by torpedos limped back to port. But the survivors were sworn to secrecy. The Allies feared that if any information leaked to the Germans, plans for the D-Day Landings would be jeopardized. The public did not know about the incident until 1974 when the details were declassified. To this day, the incident remains largely obscure.